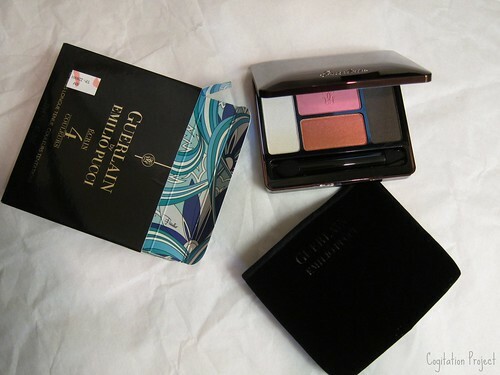 When I placed my order for the Guerlain by Emilio Pucci, the SA also told me Guerlain’s National Artist, Chuck Hezekiah, will also be in store to do makeup and consultations the day I am picking up my order. Of course, I had to make an appointment as this is my chance to learn how to use the quad palette with the intimidating orange-y shadow that is Écrin 4-Couleurs Eye Shadow in 13 Capri. I have to include the box in the picture because the surprise is inside the box. I wish the cloth case is also in the Pucci print instead of the boring black velour. 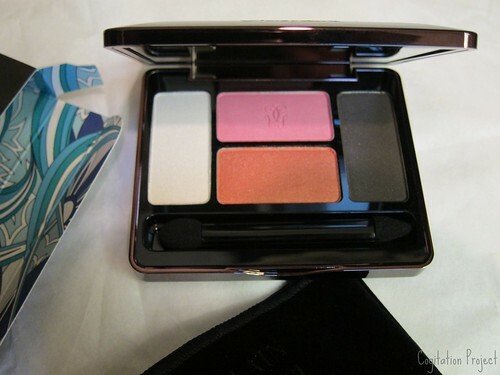 An alluring mirrored palette of four long-lasting eye shadows in captivating colors. This sophisticated brown metallic compact features warm-toned, shimmering shadows that will electrify your eyes. The soft, light texture caresses the eyelids with a velvety touch for a naturally mesmerizing result. Encased in an Emilio Pucci for Guerlain velour pouch, the outer packaging is also lined with a vibrant signature Pucci print. Guerlain and Emilio Pucci have created an exceptional collaboration between the two prestigious houses that draws inspiration from summertime in Italy. The guiding motif of this second collaboration was inspired by the iconic “Winter Capri” print taken from the archives of the Italian ready-to-wear brand. Exclusively re-colored for this collection, it adds a joyful and elegant Pucci touch to the Guerlain products. I did the swatches on an overcast day, completely sun-less. So I only have two photos to show, an indoor and outdoor, both without flash. And for the FOTD, makeup is done by Guerlain’s National Makeup Artist, Chuck Hezekiah. My face was prepped with wonderfully luxurious Guerlain skincare products and Lingerie De Peau Invisible Skin Fusion Foundation SPF 20 was applied. Foundation was set using Météorites Perles D’azur Illuminating Powder – Pure Radiance. 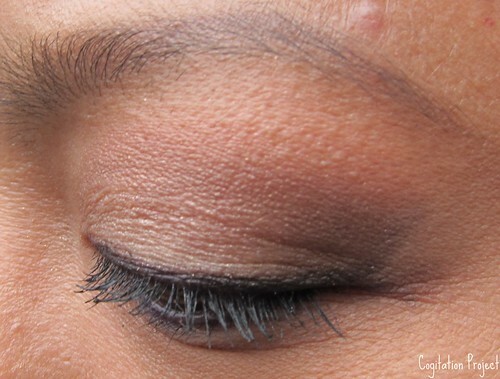 Next Chuck lined my upper lash line, upper and lower waterline with the Terracotta Khol Kajal in 02 Blu Acqua. For reference to eye parts for makeup purposes, I refer to Temptalia’s Tutorial & Reference – Eye Diagram, Parts of the Eye, Basic Eye Makeup. Then he smudged the lower lash line with the brownish black shade on the quad. 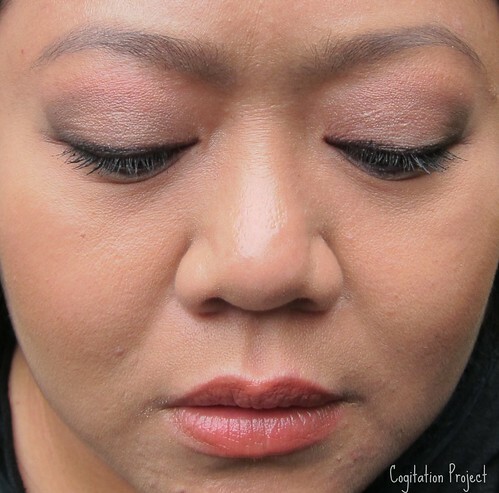 He also lined the upper lash line extending into a slight cat’s eye with the same shade. Next he took the white shade and applied it all over the eyelid. 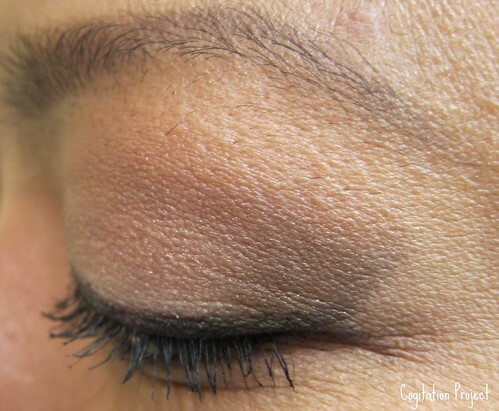 For the above crease area, he took a brush and run it across both the orange and brown black shade. The resulting color is like a very warm terra-cotta brown color. 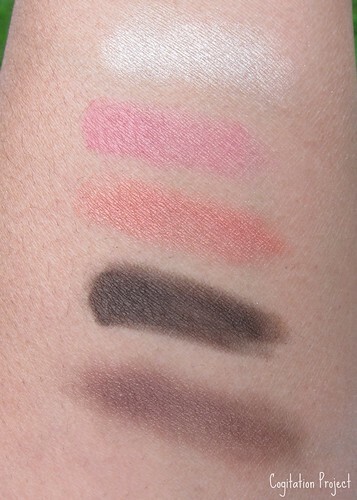 To give the appearance of sunset, he applied a very thin line using the pink shade right above the above crease color. Lastly, he used Noir G de Guerlain for my lashes. 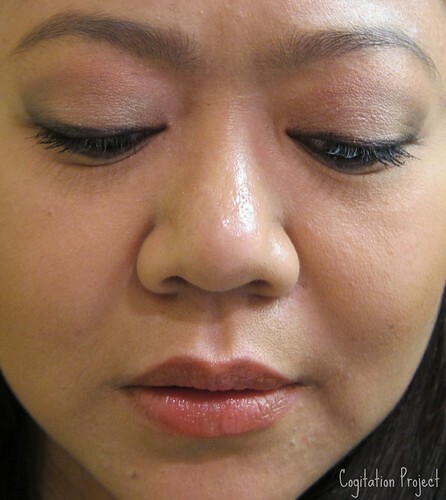 For the cheeks, he first contoured my cheeks using the bronzer in the Terra Azzura Bronzing Powder & Blush. 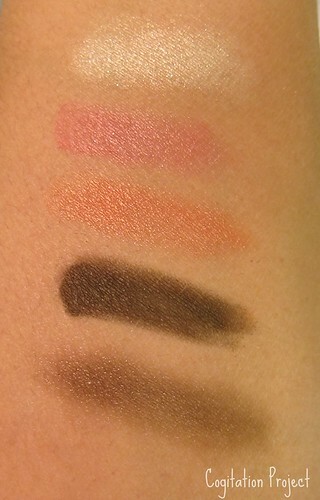 Then swept the brush across all blush colors then dusted it on top of my cheekbones extending to the temples. For the lips, he layered Terracotta gloss in Porto Fino and Porto Ercole. I’ve learned something new this time. It’s ok to blend different colored eyeshadows. Like I said, the orange shade is very intimidating despite the warmth. I would never think to blend the two shades together. Now I can’t wait to see if I can do this on my own. I love a challenge. I will definitely update and post pictures once I get to it.